Our favorite time of year has arrived, FroDown! If you are new to CurlyInCollege and our college tours, we are so excited to have you. 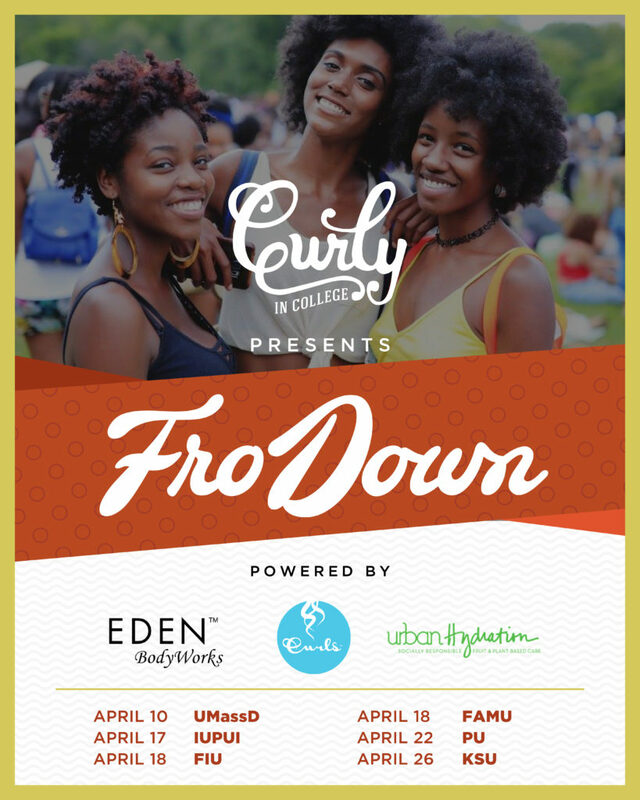 We are the largest national network of multicultural college students with natural hair and FroDown is the ultimate celebration for natural hair on college campuses! Every year we partner with brands that align with our mission and wish to empower college students — making it a little easier to rock your curls on campus. We are excited to announce that this year, EDEN BodyWorks will be a brand partner for the THIRD year in a row! 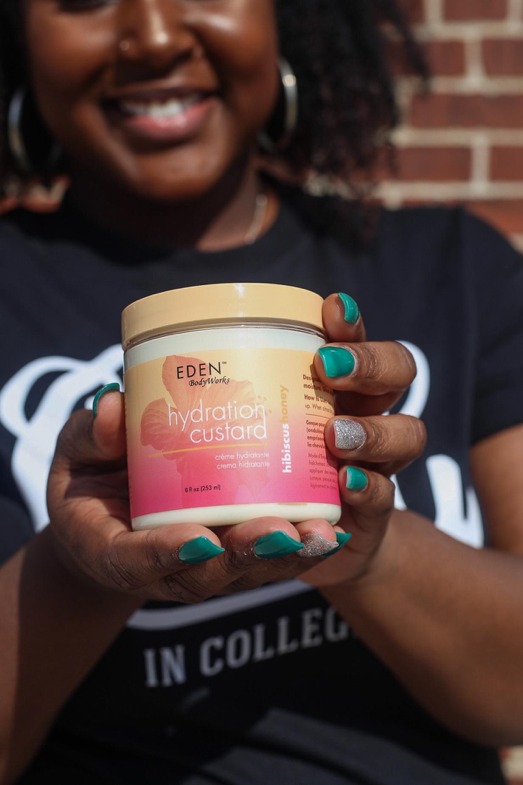 For our 2019 FroDown, EDEN BodyWorks will be spoiling student attendees with their hydration custard from their Hibiscus and Honey line. One of our favorites from this line we must say, and it smells incredible! 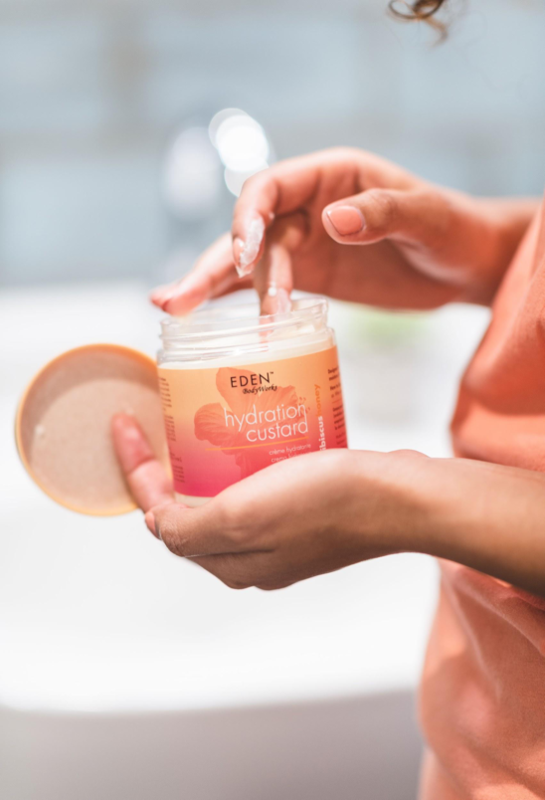 We continue to fall in love with EDEN BodyWorks products because we know there is something for everyone. The Hibiscus and Honey products are packed with hydrating and moisturizing ingredients for straight and curly hairstyles. 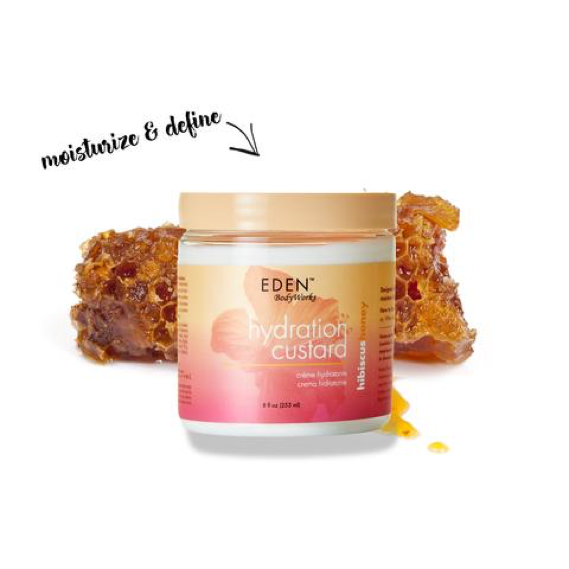 The Hibiscus Honey Hydration Custard is designed for thicker curls and coils to lock in moisture, give definition, and add shine but our friends tell us a little of this product goes a long way for looser textures. When you’re finished styling – add in just a little more over dry hair to avoid frizz. We really can’t wait for you all to try it! If you are as excited as we are, then you can’t wait to get your hands on this custard! Make sure you are one of the first 100 students in line at your school’s FroDown to receive a swag bag that includes products from EDEN BodyWorks and two other companies as well! Don’t miss out on the FULL Hibiscus and Honey Line by EDEN BodyWorks. You can now find EDEN BodyWorks at Walmart, Target, Rite Aid, CVS, SALLY BEAUTY SUPPLY, and other stores near you! Visit their website or download their mobile app for easy ordering: edenbodyworks.com. If you haven’t already, be sure to follow EDEN BodyWorks on Instagram, Facebook, and Twitter, so you don’t miss any special offers, events, or product launches. Have fun at FroDown!